Cybercriminals are getting more fearless by the day and their crimes are getting more and more sophisticated. Cybercrimes are costing businesses and organizations billions of dollars each year. This has spawned a new generation of cybercrime fighters who search for ways to end this threat once and for all. With each new attack, the crimes get more sophisticated. Hackers are learning from their mistakes and tweaking their methods to make them even more effective. While most attempts to end hacking seem futile, it is an industry that will continue to require experts in managed threat detection. Stopping thieves before they can get into your database is the preferred method and this has now become possible. The latest technology can assess your network’s weaknesses and your IT professional can recommend various ways to shut down those weak areas. Why the rise in popularity of managed threat detection? Investments in technologies that prevent cybercrimes are currently on the rise. There are now a number of solutions that prevent intrusion into your computers. But many companies feel they just don’t have the money to install the latest threat detection equipment. Though there is an initial expense involved, business owners with these new threat detection systems do enjoy greater peace of mind. One cyber-attack is now estimated to cost approximately $1.3 million on average. In addition, customer trust is eroded once the public learns of the breach and overall sales can go down. The expenses for a breach can often linger for years. What is Managed Detection and Response? 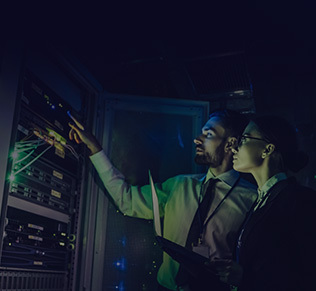 MDR is a combination of technologies and skills that provide global threat intelligence, deep threat analytics, and earlier incident mitigation. The most effective response to a breach requires a collaborative, far-reaching effort. Managed Detection and Response works well because it is set up to function every minute of every day. It provides more thorough protection from the viruses, worms, ransomware, and malware that exist on the World Wide Web. MDR is commonly used together with traditional managed security services (MSS) to ensure complete protection. These services can be provided by specialized vendors who focus mainly on threat management. They can also be provided by specialists who have MDR capabilities. Managed detection is chiefly distinguished by the fact that it works even in circumstances where the traditional methods of protection, which are focused on limited log collection and rules-based analysis, do not work. Today, businesses will find a few cybersecurity experts who understand the ever-changing landscape in the world of cybercrime. Thieves utilize a number of methods that evolve with each new attack. The only truly effective response to these attacks is to develop a system of crushing cyber-attacks that also evolves with each new event. New technology focuses on a series of effective approaches to threat detection and elimination. The initial step is known as threat anticipation, which measures the level of a company’s preparedness. This determines how high a company’s chances are of being targeted by cyber thieves. MDR also includes threat hunting. Instead of waiting for an event to occur, this technology actively hunts for threats and eliminates them. Third, security monitoring is essential. This service is basically exactly what it says. A system is put in place that constantly monitors all hardware, software, and networking equipment, looking for loopholes that thieves might exploit. Security monitoring should include alert response, incident response, and breach management. Why is Managed Detection and Response popular? For most business owners, there just isn’t time each day to worry about cyber breaches and data leaks. Though the costs to address them can be enormous, a business person needs to focus on running his company. Your business can suffer if you must constantly be pulled away to address potential security threats. That’s the major reason why business owners are opting for a greater level of protection for all their computers and networking equipment. Threat detection and prevention is a full-time job and most business people just don’t have the time or skills to deal with it. Your company needs the finest protection available so you can get back to work without the stress of knowing that a breach could occur at any moment. MDR service providers are able to collect data from various sources on the threats that your organization may face. This enables them to know exactly which threats are more pronounced. Once an organization knows where their weaknesses lie, they are in a better position to respond, repair those flaws, and move forward with more confidence. Of course, a good managed detection and response program should also include all the measures to respond should a breach occur. 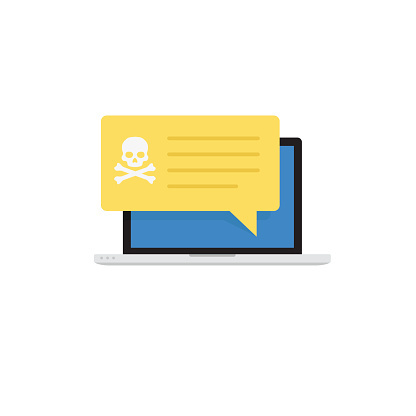 In spite of all the advances in technology, if just one of your employees clicks on a malicious link, they could download ransomware or other harmful malware into your system. You can mitigate the damage though, by knowing exactly what to do. Managed Detection and Response (MDR) is designed to handle anything that cyber-thieves can throw at you. It initially seeks to find and close any weaknesses, but it also includes a sound response plan should a breach occur. It utilizes today’s best detection tools, threat intelligence, forensic investigation tools, and human analysts. It can give business owners the peace of mind they need to get back to running their companies without the constant worry of an expensive data breach.